Samsung Slate tablet PC or officially Samsung Series 7 Slate tablet PC can be considered as a powerful desktop computer with its high performance over Intel Core i5 processor and a mobile laptop with 900 grams total weight. What is more exciting about Samsung Slate 7 tablet PC is its ability of running Windows 8 with its all features and new functionalities. If you are an IT professional, imagine Windows 8 on Samsung Slate! Friends of mine were saying that Samsung Slate has been the tablet PC that I have been dreaming of. Samsung Slate supports full multi-touch features of Windows 8, brand new operating system released by Microsoft with its 11.6 inch monitor and Intel Core i5 CPU. Besides multi-touch capability, what I was additionally looking for to install SQL Server and Visual Studio like professional software. Because for me as a programmer and a database developer, I want to be able to open my mobile device in seconds, in this case Samsung Slate 7 tablet PC while travelling even for short distances and be able to work immediately about my profession. An iPhone, Samsung Galaxy or other mobile devices and smartphones don't provide me this function. Of course, I can install all these professional software on a Windows 8 operating system running on a laptop computer. But it is not as easy as to carry a laptop PC when compared with carrying Samsung Slate 7 tablet PC. Samsung Slate is light enough to carry easily, thin with its 13 mm thickness. Another advantage of Samsung Slate over an ordinary laptop PC is, of course, Samsung Slate supports multi-touch features of Windows. 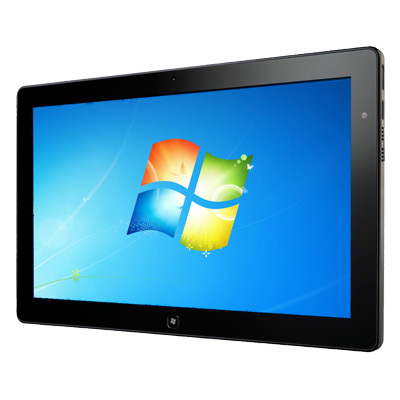 Windows users already experienced multi-touch Windows operating systems with Windows 7 and Windows 8. I have been looking for a multi-touch laptop for a while. And what I was impressed was only the Acer Iconia. Unfortunately the battery of Acer Iconia laptop was a question mark in my mind, besides weight and typing easiness. At the end of my searches, I can choose Samsung Slate tablet PC without any hesitation. Slate 7 series tablet PC supports HD resolutions. It has a wide screen with 11,6 inches which can be considered even as big for a tablet. So not only games that we are used to from smartphones can run, but also professional software applications like Microsoft Visual Studio for developers, SQL Server and Oracle for database professionals, and Microsoft Office can be used without a problem on a Samsung Slate 7 series tablet PC. Of course one important feature which I was additionally looking for was easy typing. Since I used to publish web articles on my daily work, I need to type easily and fast enough while writing draft versions of my web site articles. The dock and the keyboard that come default with Samsung Slate are perfect tools for this tablet PC. To summarize, for me as a software developer and a web publisher, I choose Samsung Slate 7 tablet PC as a mobile device that I can carry with me everywhere and use for example at work or at home, while travelling or during holidays away from home or work. Samsung Slate is powerful and capable to run professional software that I need to use like Windows 8 operating system, SQL Server, Visual Studio, etc. It supports multi-touch features of Windows 8 operating system, and the new metro-style start screen of Windows 8. Slate provides HD resolution support. I do not mention even its camera functionalities and the quality of photos you can take with your Samsung Slate tablet PC. Actually I do not use camera professionally for kodyaz.com But if you use camera of your smartphone frequently, you may like to use this in your new Samsung Slate 7 tablet PC too. But if you are not satisfied with Samsung Slate tablet PC, why don't you have a look for Microsoft Surface tablet PC for Windows 8, or check out other varieties of tablets and devices.